All purchases may be returned within 14 days. If 14 days have gone by since your purchase, unfortunately we can’t offer you a refund or exchange. Pack your return securely with the original packaging if possible, and please include your original packing slip. Note: All return items must be unworn, unwashed, and undamaged. Please note that for refunds to the original method of payment, we deduct 6 euro to cover the cost of restocking. Refunds may only be issued to the credit card, PayPal, or iDeal account used to make the original purchase. We offer store credit but your item must be unused and in the same condition that you received it. It must also be in the original packaging. We recommend that customers needing a different size or fit create a return for store credit here before returning their original purchase for a refund. 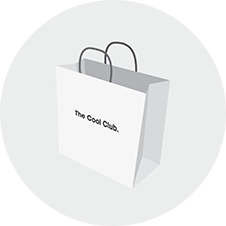 If you receive a damaged or incorrect item, contact Support@thecoolclub.co with your order number and description of the damaged item. We’ll make sure you’re taken care of.